By Adam Chan / Jan. 5, 2016, 5:58 p.m. The United States has provided Pakistan, since its founding in 1947, with more than $70 billion in military and economic aid, including over $30 billion since 9/11, and will give approximately $800 million more in 2016. Such a major government expenditure demands constant review to determine if the funds are being used effectively. First, we should address why the United States provides so much money to Pakistan. The principal goal of American aid is to compel Pakistan to fight Islamic terrorists who threaten international security. Although the slow American withdrawal from Afghanistan has been coupled with a commensurate reduction in aid to Pakistan, Washington still hopes its aid will persuade Islamabad to deny the Taliban a safe refuge in Pakistan and ensure the continued viability of Afghanistan. Because of Pakistan’s geographic proximity to known terrorist cells, intimate knowledge of the area and its people, and lower military costs than that of the United States, this strategy is potentially more effective and efficient than a fight borne exclusively by Americans. Have these billions in aid advanced these objectives? In short, no. After thirteen years and more than $30 billion in aid, eradication of Islamic fundamentalism from the region is as distant as ever. Not only is the Afghan state steadily drifting toward collapse as the Taliban strengthens, but Pakistan also continues to fail to destroy radical groups, like the Haqqani Network. As American interest in Afghanistan wanes, and focus turns to ISIS and the Arab Middle East, continued aid to Pakistan appears ever more unnecessary. Why is US policy failing so spectacularly? Why has Pakistan not put American beneficence to effective use? Its military is the world’s seventh largest, so sheer lack of resources cannot explain the failure. The Pakistani military’s interests are not, nor have ever had any reason to be, aligned with American interests. Pakistan’s leaders do not view terrorism as Pakistan’s biggest threat; rather they consider India as the primary enemy and are perfectly willing to use American money to build up their military to defend Pakistan against its southeastern neighbor. 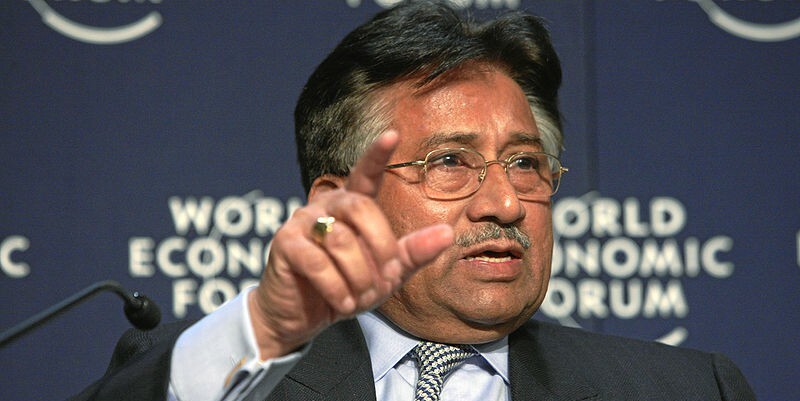 Pakistan is so obsessed with India that much of the aid Washington gave to Pakistan after 9/11 to fight the Taliban was, according to the Pakistani president, used to fund the Taliban instead because of a fear of Indian action in Afghanistan. In a theoretical sense, it is not difficult to understand why American aid has been so ineffective. Just as conservative economists criticize the welfare state for disincentivizing work, so too does the constant stream of American money disincentivize Pakistan from solving America’s problems. Pakistan is aware that as long as America perceives a terrorist threat in and around Pakistan, it will provide aid; if there were no terrorist threat, aid would dry up. Thus, Pakistan has a vested interest in maintaining the problem and ensuring that Washington continues to feel threatened by terrorism because, historically, the more concerned the United States has been with terrorism in the region, the more aid it has given. The best strategy for Islamabad, therefore, is to receive American aid, use the aid how it wants, conduct feigned counterterrorism operations for Washington’s benefit without actually harming Washington’s enemies, and then receive more aid. To have a more successful regional strategy, the United States should alter its relationship with Pakistan from its existing one of benefactor-beneficiary to one of a contractual partnership. The Pentagon does not simply pay Lockheed Martin an annual fee hoping that the company will provide weapons systems. Instead, it contracts to pay Lockheed Martin for the finished product, and the company is legally obligated to provide the Pentagon with its desired weapons. If it failed to deliver on its contract, it would not receive the funds promised and also lose future business from the Pentagon. Like any market transaction, both parties benefit: the Pentagon will get the weapons systems that it wants while Lockheed Martin gets its desired profits. Similarly, Washington should pay Pakistan for services. If Washington wants a terrorist organization neutralized, it could pay Pakistan for the neutralization of the group, but only after the task has been completed. Payment upon results, rather than hopes, would eliminate the possibility of Pakistan misappropriating guaranteed American payments. As a corollary to this strategic adjustment, the United States should strengthen its ties with India. This policy is sensible even apart from Pakistan, as India is the fastest growing large economy and is thus well suited both as a trading partner and counterweight to China’s growing power. In addition to these benefits, a strengthened relationship with India can be used to show Pakistan why it is no longer essential to American strategy. India has shown interest in developing ties with Afghanistan, much to the dismay of Pakistan. Washington should work to foster cooperation with India on Afghanistan peacekeeping. This would send a strong signal to Pakistan that Washington no longer recognizes a Pakistani monopoly on counterterrorism in the region. With both India and Pakistan potentially vying for to win American money, competition will inevitably lower the cost to the American treasury. This changed alliance with Pakistan will provide a far better incentive structure, which will advance American interests. Crucially, aid would always be given retroactively, not in advance. Rather than being invested in American problems, Pakistan will be invested in solutions. Islamabad would no longer receive aid unconditionally, but instead only if it accomplished a tangible American objective. In this way, the United States can more efficiently reap the benefits that Pakistan brings to the War on Terror. Beyond Pakistan, in all of America’s bilateral relationships in which Washington hopes its junior partner will work toward American strategic objectives, it should pay this country directly. However, unlike its current procedure, Washington should pay after such benefits are gained, rather than before. In this manner, the United States can reduce government waste in a time of fiscal strain and achieve more of its objectives, both in South Asia and worldwide. The image featured in this article was taken by the World Economic Forum. The original image can be found here.